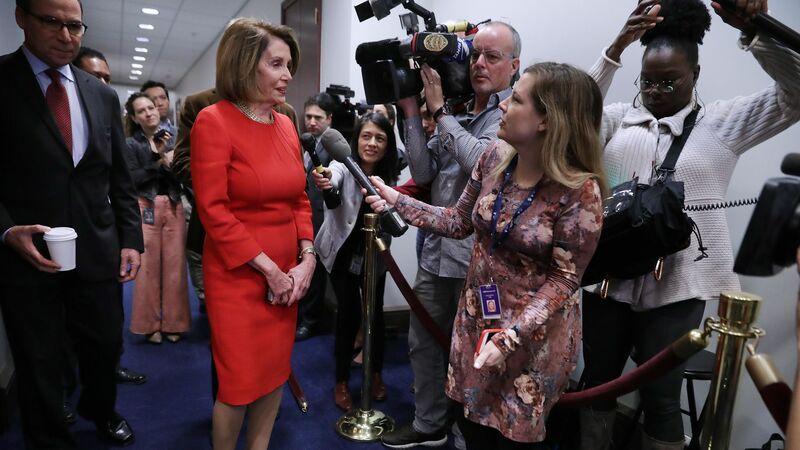 The battle over whether Rep. Nancy Pelosi, who already became the first woman to serve as speaker of the House in 2007, will retake the gavel for Democrats now that they're in the majority has "exploded into a national political campaign," reports the Washington Post. Why it matters: The speaker of the House will not only be responsible for advancing the Democrats' legislative agenda, but will also "emerge as the country’s most high-profile counterpoint to President Trump — who will set the strategy for investigating him, who will lead the opposition to his agenda, and who will be the face of the Democratic Party ahead of the 2020 campaign," per the Post. Riding a wave of at least 40 flipped House seats, new Democratic members have an expectation for change, one that could come via a speaker challenge from African-American lawmaker Rep. Marcia L. Fudge (D-Ohio).